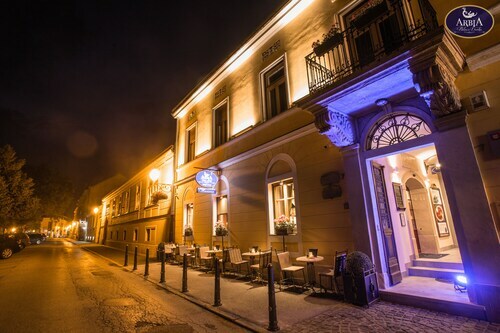 Situated in Varazdin, this hotel is within a 5-minute walk of Patacic-Puttar Palace and Croatian National Theatre. Church of St. Nicholas and Gregory of Nin Statue are also within 10 minutes. 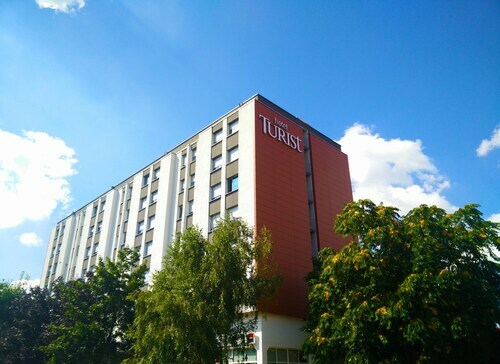 Situated in Varazdin, this hotel is steps away from Town Hall, King Tomislav Square and Cathedral of the Assumption. Patacic Palace and Franciscan Church and Monastery are also within 5 minutes. Situated in Varazdin, this bed & breakfast is within a 5-minute walk of Cathedral of the Assumption, King Tomislav Square and Patacic Palace. Town Hall and Croatian National Theatre are also within 5 minutes. Situated in Varazdin, this property is within a 10-minute walk of Patacic-Puttar Palace, Croatian National Theatre and Church of St. Nicholas. Franciscan Church and Monastery and Gregory of Nin Statue are also within 10 minutes. 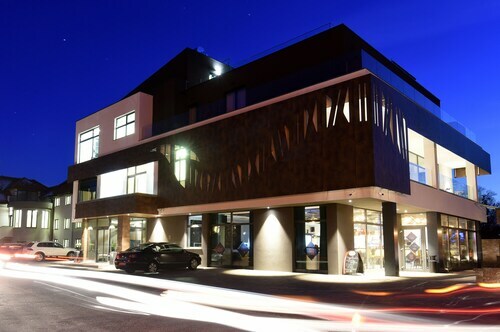 Situated in Gornji Kneginec, this hotel is within 6 miles (10 km) of Patacic-Puttar Palace, Croatian National Theatre and Church of St. Nicholas. Cathedral of the Assumption and King Tomislav Square are also within 6 miles (10 km). 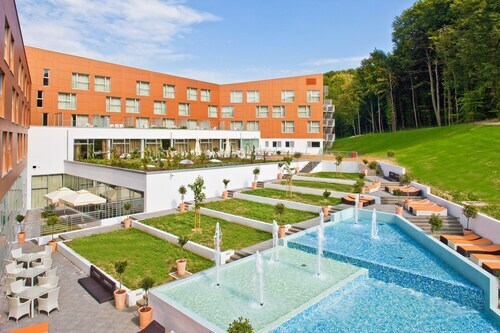 This family-friendly Sveti Martin na Muri hotel is located in a rural location, 5.6 mi (9 km) from Vino Lovrec, and within 12 mi (20 km) of Lendava Castle Museum and Gallery and Cakovec Castle. St Catherine Parish and Vinarium Tower are also within 12 miles (20 km). 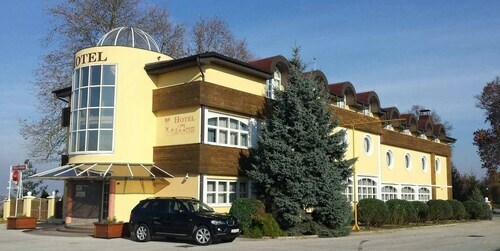 Situated in Cakovec, this hotel is 0.2 mi (0.2 km) from Cakovec Castle and within 9 miles (15 km) of Drava Park and Gallery of Old and New Masters. Patacic-Puttar Palace and Croatian National Theatre are also within 9 miles (15 km). 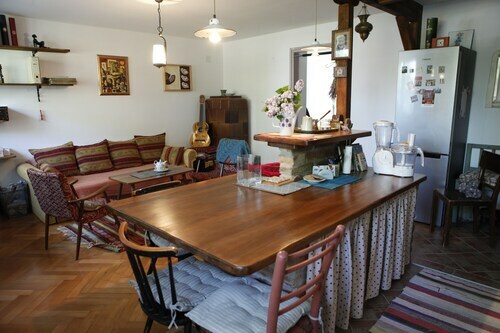 Situated in Marusevec, this holiday home is 0.9 mi (1.5 km) from Marusevec Castle and within 12 miles (20 km) of Klenovnik Castle and Patacic-Puttar Palace. Croatian National Theatre and Ursuline Church are also within 12 miles (20 km).